Host your next event in a dazzling historic Chicago theater space. Chicago&apos;s theater venues offer more than just space wrapped around a stage. 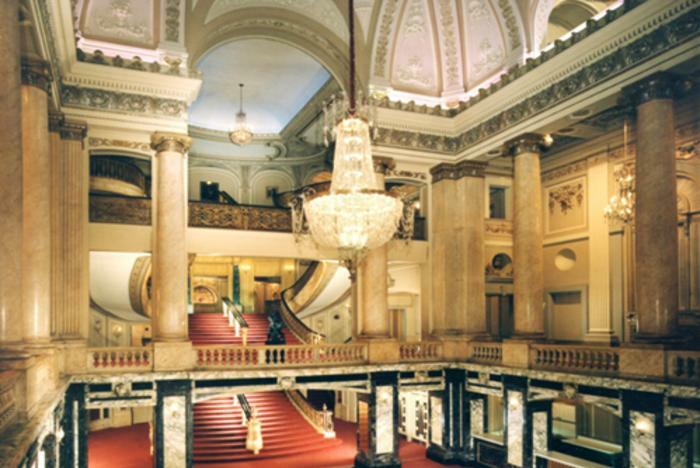 From a sleek, six-level rotunda to an ornamented foyer, several city theaters offer grand venues for events. Nestled within the historic Chicago Theatre (perhaps most recognized by its iconic CHICAGO marquee that glitters on State Street in the Loop) is the Grand Lobby, modeled after the Royal Chapel at Versailles. The elegant space soars five stories tall and features promenades, chandeliers and a grand staircase inspired by the Paris Opera House, ascending to various levels of the Great Balcony. Hold a cocktail reception for 700 or a banquet for 110 guests. The Grand Lobby is also ideal for product launches or press conferences. 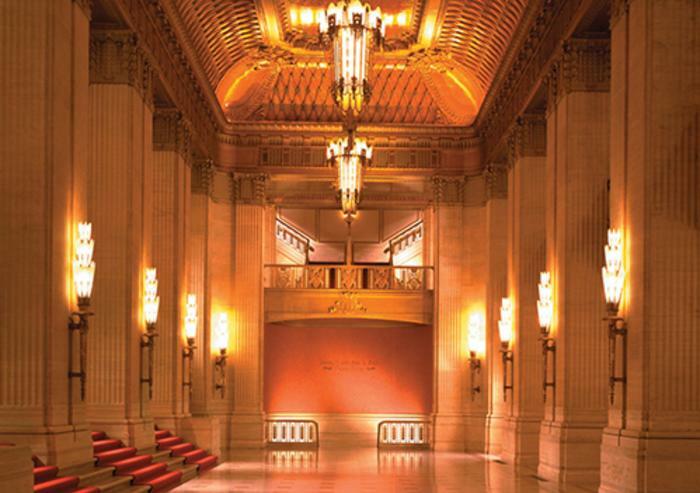 The three levels of this Art Nouveau and Art Deco hybrid—home to the Lyric Opera of Chicago—make the Grand Foyer a versatile venue for any type of event. Guests enjoy the hand-detailed ornamentation adorning the ceiling, balconies and fixtures; meeting professionals appreciate amenities like backstage tours and costume displays; and vendors enjoy direct access from Madison Street. Plan a banquet for 150, a theater-style event for 356, or use both the main floor and mezzanine to accommodate 1,100 guests. 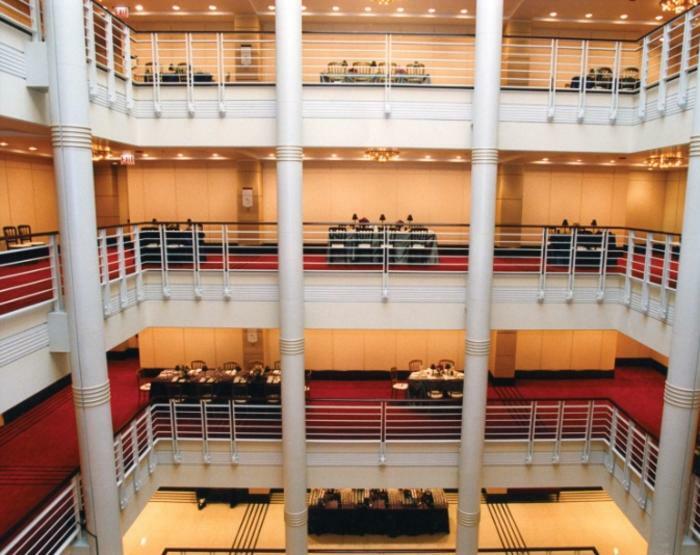 The Symphony Center is a 111-year-old hall that is home to the Grammy Award-winning, world-renowned Chicago Symphony Orchestra. And the interior spaces are just as impressive as the orchestra itself. For an eye-catching option, consider the naturally lit Rotunda as your venue. All six levels offer dynamic views of the sleek spiral staircase and atrium skylight, adding a dose of drama to your next event. 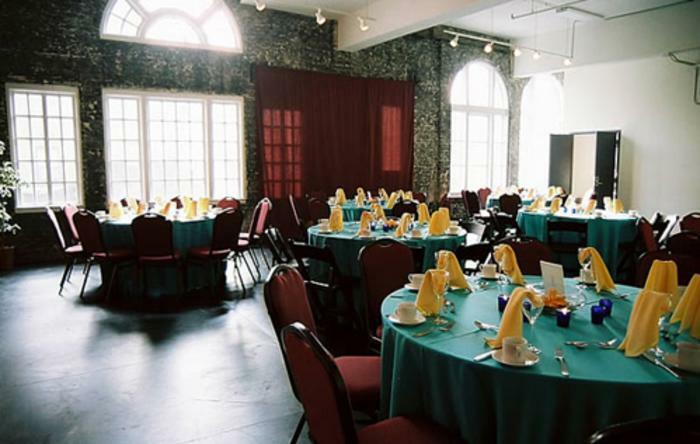 Book a seated banquet for 80 or a standing reception for 200 attendees. The historic Biograph Theater (famed as the site where notorious bank robber John Dillinger was gunned down by FBI agents in 1934) is listed on the National Register of Historic Places and now home to the renowned Victory Gardens Theater. The Prince Charitable Trusts Event & Rehearsal Room is set behind the theater&apos;s historic facade and overlooks the recognizable marquee through large, beautiful Palladian windows. Host a cocktail reception for 200 or a seated dinner for 90 guests. The newly revamped Theater on the Lake opened its doors in Lincoln Park last fall. The building dates back to 1920, and was designed by Prairie School architect Dwight H. Perkins. Acclaimed Chicago chef Cleetus Friedman helms Theater on the Lake’s new Lakefront Restaurant. 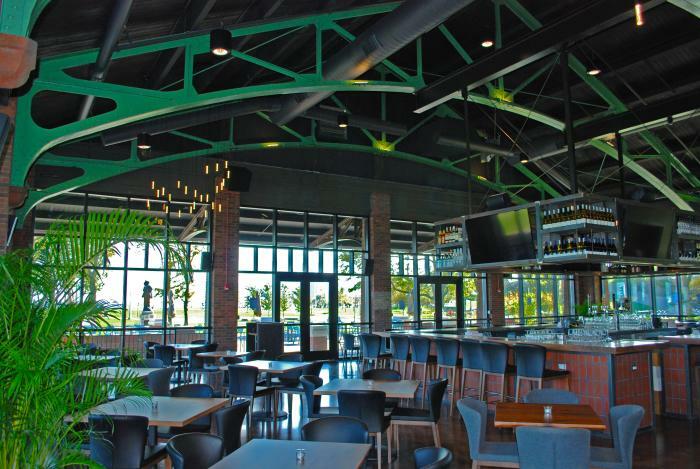 The 125-seat farm-centric restaurant can host private dinners, and features the seasonal 80-seat Skyline Patio with panoramic Lake Michigan and skyline views. The now year-round Theater on the Lake includes a 330-seat main theater, along with a flexible event space that can accommodate up to 1,500 guests for corporate events or galas. This exciting new year-round theater venue made its debut at Navy Pier in fall 2017. The unique crescent-shaped theater design is made up of individual mobile towers (comparable in size to a city bus turned on its end) that can be configured into a variety of shapes and sizes, accommodating audiences ranging from 150-850 people. 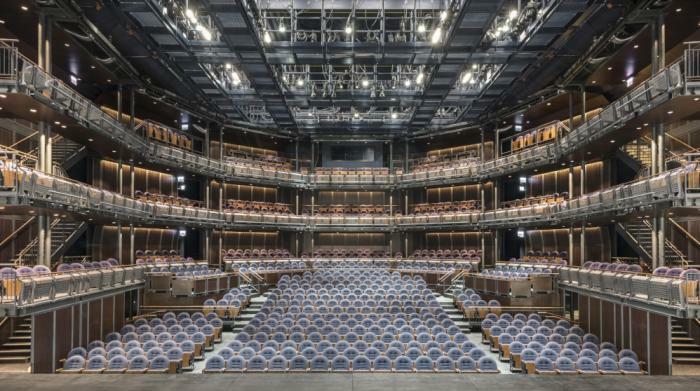 The Yard joins Chicago Shakespeare Theater’s other two venues: a 500-seat, courtyard-style theater and the 200-seat Theater Upstairs. Plan a private party or champagne reception prior to the show in one of Chicago Shakespeare’s lobbies or in the English-style Pub.